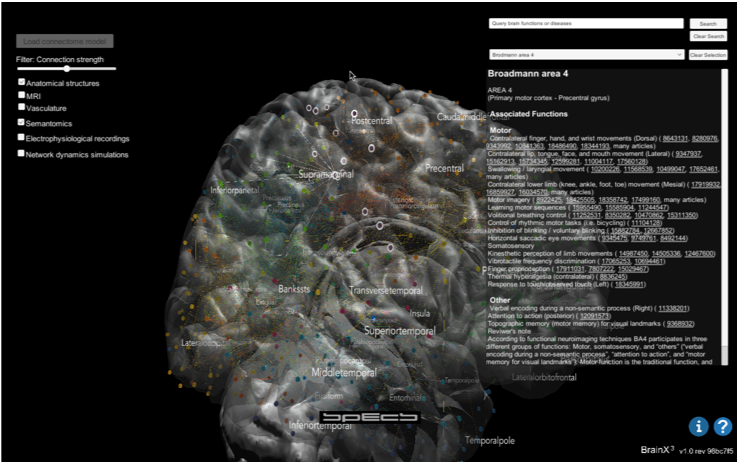 This version offers an interface to interact and explore multiple layers of information about the brain: connectome, semantome, electrophysiological recordings, simulations (precalculated with complex models or simple in realtime) and vasculature models. It includes a specific sample dataset to show the concept for data integration and exploration. This version is shared for educational purposes and to obtain feedback. Currently, we are developing version 2.0 that will offer the possibility to load custom datasets and to work in research. 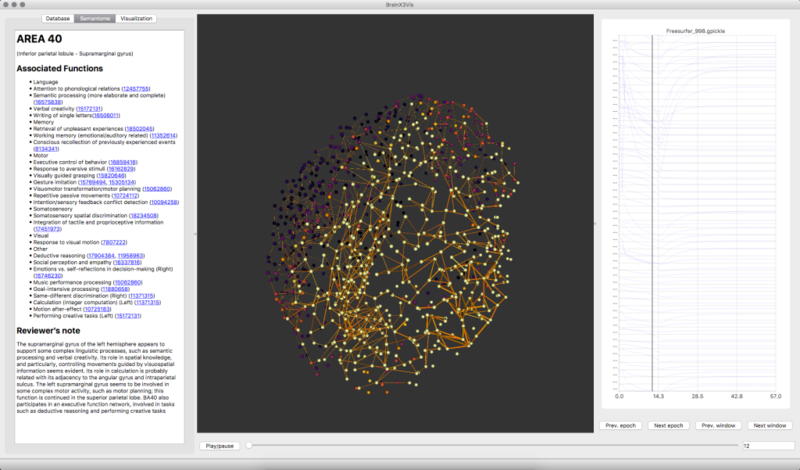 Focused on accurate alignment of multimodal, multiscale neuroinformatics data. Based on Python, VTK, QT.